Christy Krumm Richard is an educator and author of the book SHOT: A Couple, a Country, and the Stubborn Quest for Hope. 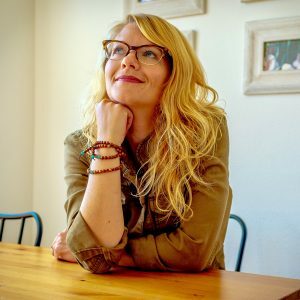 She is fascinated by the way stories shape our culture and is passionate about giving people the tools and encouragement to bring their narratives to life. She has taught academic writing at UC Irvine and Golden West College, and leads private writing workshops around Southern California. Her work has been featured in online outlets, such as Woman’s Day, RELEVANT Magazine, and YourTango. When Christy is not behind a computer screen, you can find her baking cookies, or riding bikes around Long Beach, CA where she lives with her husband. Connect with her on Instagram or at her website, ChristyKrummRichard.com.